Also known as Kagero II in Japan, Trapt is the fourth and latest game in Tecmo's Deception series. The great thing about the Deception series is that there's really nothing else like it. To describe the game for anyone who hasn't played it, imagine a tower defense game like Sanctum, with a free toggle between an overhead view and third-person control of your character. You guide the enemy waves around the rooms of the castle as they chase after you, and place and rearrange traps in the start menu. 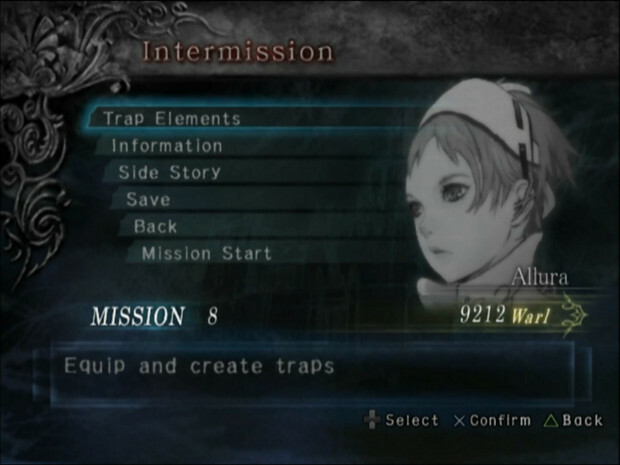 You have three traps at your disposal at a time, consigned to the circle, square and triangle buttons. Those too can be switched out in the start menu at any time, so you can customize your load-out of traps and move them around to different spots on the map at any time. The idea is to lure the enemies, usually no more than three at a time, over the traps you've laid, and possibly even create some configuration that knocks the enemy from one trap to the other, making a sort of make-shift Rube Goldberg effect. Whereas a tower defense game has a building phase and a shooting phase, you can do your building on-the-fly in the start menu, which makes sense for the way the enemy waves are set up. Instead of having huge groups of enemies going from point A to point B and making you build mazes to slow them down, the enemies are two or three at a time and chase after you till either you are dead, or they are so injured that they run away. That opens up the mechanic to be much more free-form in it's application. 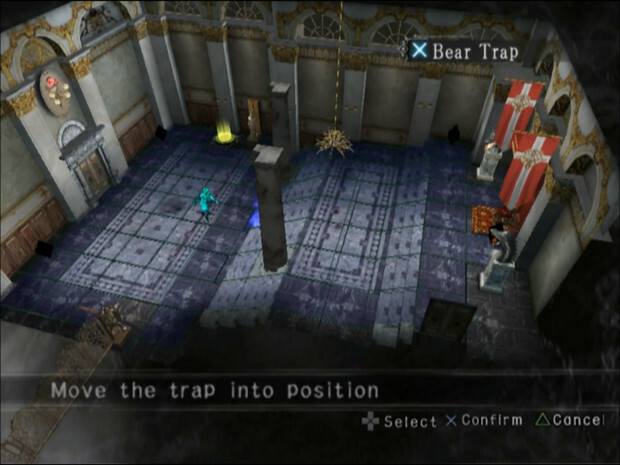 The traps themselves work a lot like the weapons in a tower defense game; there are the special traps designed to manipulate the enemy, stop them, slow them, and knock them backward, as well as maim and eventually kill them. 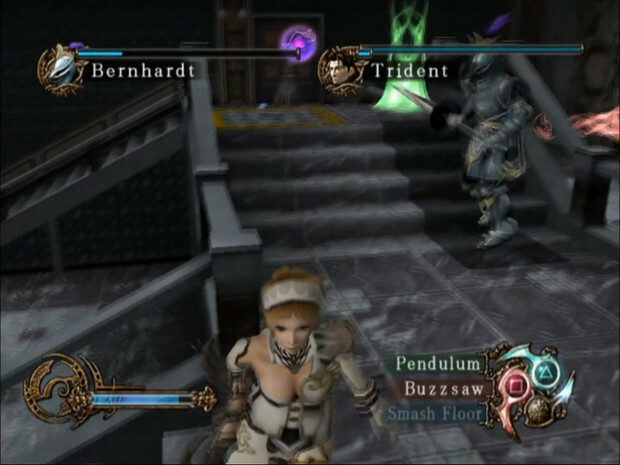 But at the same time, the traps are much more about chaining together combos. That basic mechanic is expanded through unlockable traps, which can be bought with money earned at the end of every level. Most are simple improvements on the traps you start with, offering a boulder in place of a wash pan, an explosive boulder in place of that and so on. Some of them are wholly unique though. You can also use your money earned toward keys to open more rooms in the mansion. 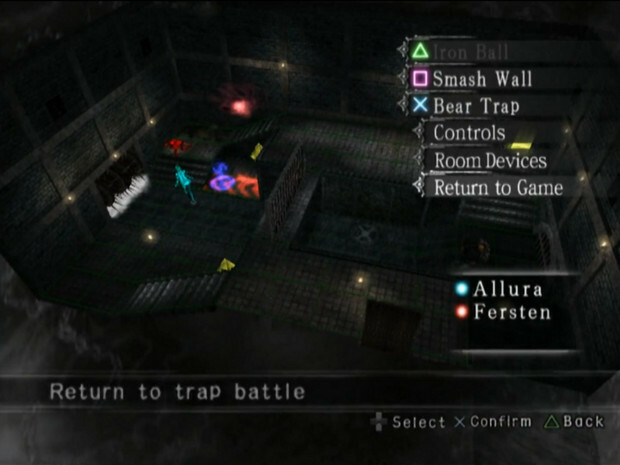 Each room in the mansion has a different floor plan, and has at least one or more unique traps already built into it, such as pillars which can be knocked over, which can then be used along with your own traps to create even longer chains. Those unique elements in each room are what gives the game a lot of it's variety. As you unlock rooms, they progressively start including more implements of destruction and instruments of torture, including iron maidens, electrified chairs and fire breathing statues. But beyond that, the main attraction outside of the fact that the whole game plays like a much more elaborate version of Mouse Trap, is the secret traps hidden in each room of the mansion called dark illusion traps. These traps are like the fatalities of Trapt. There's a chance of getting one to trigger by accident, but none of them are super obvious to figure out on your own. They involve setting off one or more flags before luring an enemy over a certain spot in the room. And after that, an elaborate, Final Fantasy style cutscene ensues, hitting the particularly unlucky assailant for massive damage with crazy, over-the-top violence that would make Ed Boon proud. Once you learn to do one reliably, it's a ton of fun trying to trick your way into comboing into it with different traps. On to the bad news, the localization is on the poor side. 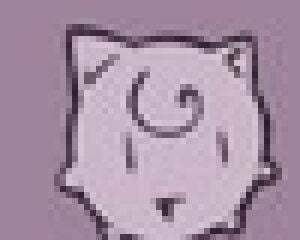 The story isn't very good any way you look at it, and not much is gained by maintaining the purity of the original Japanese dub. I imagine whatever English dub they might have ginned up would have been worse though. Like I said though, the story is pretty bad, but in a good way for the most part. There are some laugh out loud moments and charmingly terrible plot twists to keep what there is of a plot entertaining. 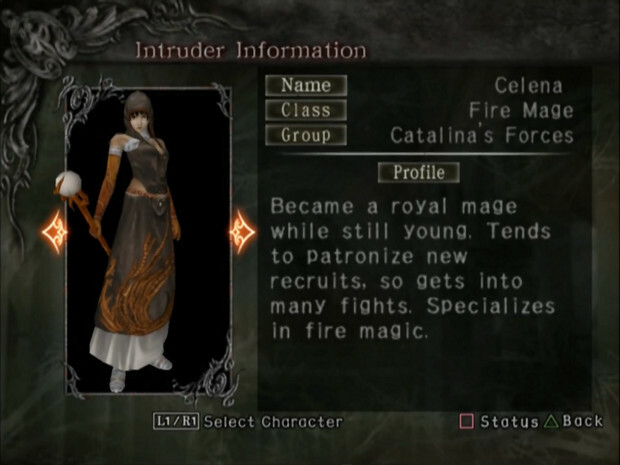 Outside of the cutscenes, the game goes to the ridiculous extent of having written-out bios for each enemy chasing you in each level. Now, reading these is completely elective, but if you do, you realize that all of the bios make the enemies out to be good people who are just in the wrong place at the wrong time, with families and love interests and the whole nine yards. Evidently, playing a twisted-off, sadistic type is a running theme in the Deception series and the bios are just their way of keeping that theme running in Trapt. On the whole, Trapt isn't the greatest game you're ever going to play. Nothing outside the gameplay is especially gripping. The game out-lasts it's 15 levels and greatly outlasts it's side story for each level, unlockable costumes and multiple endings. If you're willing to sit through it, you could be setting traps for a long time, but if you're only casually interested, you'll want to spend your time unlocking the different rooms to see each one's dark illusion trap and go on about your day. Even then, you're sure to get at least a good fifteen hours of fun out of this unique strategy game.